New Classes Starting Every 6 Weeks!! Beginner to Intermediate Class. Running 6 Weeks. You will be making a garment of your choice. Learn about: Button holes, zippers, how to read a pattern, how to prepare fabric, the different types of fabrics, and more. Gain basic knowledge of sewing machines, and occasional trouble shooting. Plus Tips and Tricks of the trade! Come and learn the JOYS of sewing. Sewing I -- Quick Simple Tips for Perfection'Learn how to read a pattern, know your fabric, work with your machine, and construct a garment. Button holes, zippers, better fitting garments. Your choice of projects. Quilting. Basic full quilt/ Plenty of home work. Drop by during business hours and enjoy conversations and a cup of coffee. 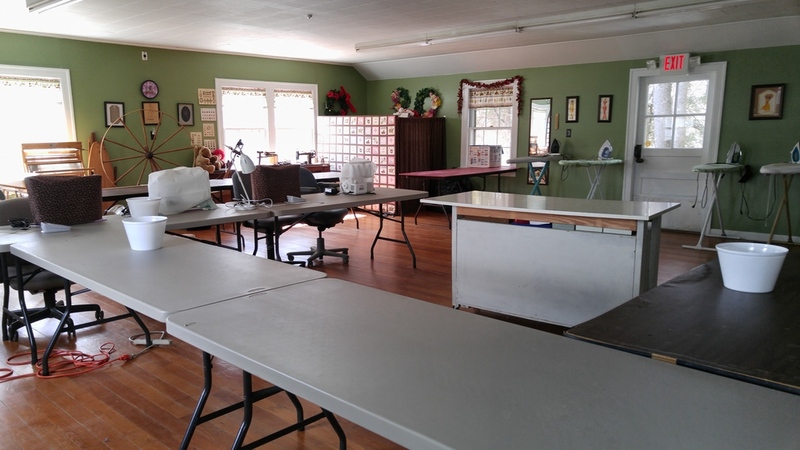 Bring your own handwork, or rent a sewing machine for $5 per hour.